If you have a large-scale commercial roofing job in Augusta, Georgia, and want a reputable, experienced company for the project, turn to Arango Insulation. 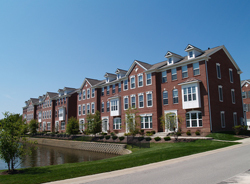 We specialize in roofing projects for multi-family dwellings like apartment buildings, condominiums, and other similarly styled commercial structures, like retirement housing complexes. Our combination of quality products, roofing expertise, and a meticulous approach to every job we undertake make us the ideal commercial roofer for any project you may have. With every job in Augusta, Georgia, that we undertake as commercial roofing contractors, our team is led by a knowledgeable, experienced project manager, who is heavily involved in the project from start to finish. Our highly trained roofers work under the close supervision of our project manager, helping ensure jobs are performed properly and always remain on schedule. We back all of our work with a one-year warranty and can provide quick response times for service calls, giving you added peace of mind that if a problem arises, we’ll return quickly to make it right. Feel free to contact us if you have any questions about our commercial roofing services in Augusta, GA. Arango Insulation also offers commercial insulation, waterproofing and fireproofing for commercial structures, and many other commercial services.